Home » Blog » Gluten Cross-Reactivity: How your body can still think you’re eating gluten even after giving it up. Gluten Cross-Reactivity: How your body can still think you’re eating gluten even after giving it up. For those of us with celiac disease or non-celiac gluten sensitivity, it is critical to understand the concept of gluten cross-reactivity. How many of us is that? Well, 98% of all celiac disease sufferers have one of two variants of the Human Leukocyte Antigen (HLA) gene, either DQ2 or DQ8. Celiac disease sufferers also produce exaggerated amounts of a protein called zonulin in response to gluten consumption. Zonulin is a protein that controls the formation of the tight junctions between enterocytes, and when there is increased zonulin, those junctions open up, causing a leaky gut. There’s some evidence that this dysfunctionally high zonulin production is a consequence of having either HLA-DQ2 or HLA-DQ8; for example, high zonulin production in response to gluten consumption is also seen in people without celiac disease but with IBS who have HLA-DQ2. This link has led many experts to suggest that everyone with one of these two HLA variants (about 55 percent of the general population) should adopt a gluten-free diet. Gluten cross-reactivity is of particular concern for anyone whose body produces antibodies against gluten, technically a gluten allergy or gluten intolerance. Essentially, when your body creates antibodies against gluten, those same antibodies also recognize proteins in other foods. When you eat those foods, even though they don’t contain gluten, your body reacts as though they do. You can do a fantastic job of remaining completely gluten-free but still suffer all of the symptoms of gluten consumption—because your body still thinks you are eating gluten. This is a very important piece of information that I was missing until recently. Proteins are made of long chains of amino acids (small proteins may only be 50 amino acids long whereas large proteins may be 2000 amino acids long) and it is the specific sequence of these amino acids that determines what kind of protein is formed. These amino acid chains are folded, kinked and buckled in extremely complex ways, which gives a protein its ‘structure’. This folding/structure is integral to the function of the protein. An antibody is a Y shaped protein produced by immune cells in your body. Each tip of the Y contains the region of the antibody (called the paratope) that can bind to a specific sequence of amino acids (called the epitope) that are a part of the protein that the antibody recognizes/binds to (called the antigen). 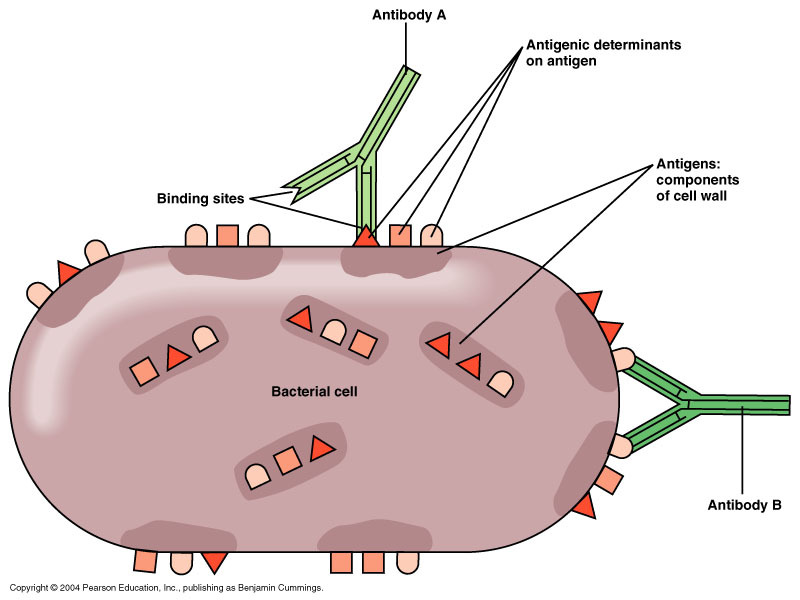 The classic analogy is that the antibody is like a lock and a 15-20 amino acid section of a protein/antigen is the key. There are 5 classes (or isotypes) of antibodies, each with distinctive functions in the body. The IgE class of antibodies are responsible for allergic reactions; for example, when someone goes into anaphylaxis after eating shellfish. The two classes IgG and IgA are critical for protecting us from invading pathogens but are also responsible for food sensitivities/intolerances. Both IgA and IgG antibodies are secreted by immune cells into the circulation, lymph, various fluids of the body (like saliva!) and tissues themselves. And both IgG and IgA antibodies are found in high concentrations in the tissues and fluids surrounding the gut (this is part of why the gut is considered our primary defense against infection). The formation of antibodies against an antigen (whether this is an invading pathogen or a food) is an extremely complex process. When antibodies are being formed against a protein, the antibodies recognize specific (and short) sequences of amino acids in that protein. Depending on how the antigenic protein is folded, certain amino acid sequences in that protein are more likely to be the target of new antibody formation than others, simply because of the location of that sequence in the structure of the protein. Certain sequences of amino acids are more antigenic than others as well (i.e., more likely to stimulate antibody formation). This is also part of why certain foods have a higher potential to cause allergies and sensitivities. Understanding that antibodies recognize short sequences of amino acids and not an entire protein is key to understanding the concept of cross-reactivity (and molecular mimicry, but that’s a topic for another post). It also is the reason why many different antibodies can be formed against one protein (this redundancy is important for protecting us from pathogens). Many different antibodies can also be formed against one pathogen or, more relevant to this discussion, one specific food. So what happens in cross-reactivity? In this case the amino acid sequence that an antibody recognizes is also present in another protein from another food (in the case of molecular mimicry, that sequence is also present is a protein in the human body). There are only 20 different amino acids, so while there are millions of possible ways to link various amount of each amino acid together to form a protein, there are certain amino acid sequences that do tend to repeat in biology. The take home message: depending on exactly what antibody or antibodies your body forms against gluten, it/they may or may not cross-react with other foods. So, not only are you sensitive to gluten, but your body now recognizes non-gluten containing foods as one and the same. Who needs to worry about this? Any of the estimated 20% of people who are gluten intolerant or have celiac disease, i.e., have formed antibodies against gluten. They did not find cross-reactivity with all of these foods (as is implied by the Cyrex Labs gluten cross-reactivity blood test, a.k.a. Array 4). But, they did find that their anti-gliadin antibodies (antibodies that recognize the protein fraction of gluten, and they used two different types [monoclonal and polyclonal] antibodies for their tests which yielded results consistent with each other) did cross-react with all dairy including whole milk and isolated dairy proteins (casein, casomorphin, butyrophilin, and whey)—this may explain the high frequency of dairy sensitivities in celiac patients—oats (but only one cultivar), brewer/baker’s yeast, instant coffee (but not fresh coffee), milk chocolate (attributable to the dairy proteins in chocolate), millet, soy, corn, rice and potato. This is one of the figures from the paper. I’ve added a green line to show you the level of the negative control, meaning below which there is no gluten-cross reactivity. And, I’ve highlighted all the positives in yellow, meaning those foods are potentially cross-reactive with gluten antibodies. It’s important to emphasize that not all people with gluten sensitivity will also be sensitive to all of these potential gluten cross-reactors. 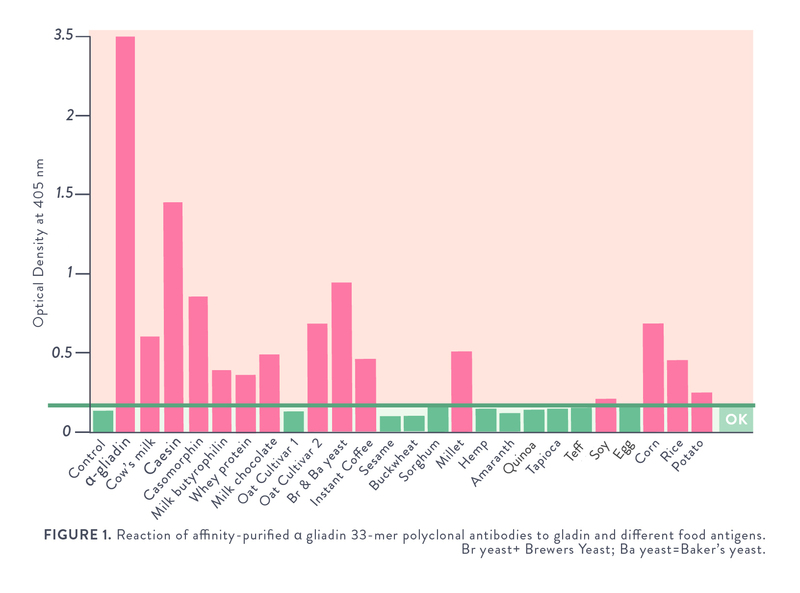 The second bar from the left, α-gliadin, is the positive control, basically showing that the antibodies against gluten that they used for these experiments do indeed bind to gluten. Note that all other positives are less than α-gliadin, meaning the reaction is weaker. Soy and potatoes are notably quite weak reactions, while dairy is notably quite high (especially considering that there’s four different proteins in dairy that react with the gluten antibodies). While not all people with gluten sensitivities will also be sensitive to all of these foods, they should be highlighted as high risk for stimulating the immune system. Just like trace amounts of gluten can cause a reaction in at least those with celiac disease (the threshold for a reaction has not been tested in non-celiac gluten sensitivity), even a small amount of these foods can perpetuate inflammation and immune responses. This is important when you think of the small amounts of corn used in so many foods and even the trace milk proteins that can be found in ghee. Cyrex Labs offers a simple blood test that is referred to as their gluten ross-reactivity panel, a.k.a. Array 4. It tests for reactions to the gluten cross-reactors mentioned above as well as the non cross-reactors evaluated in the paper. Cyrex Labs reported to me in personal communication that they see positive sensitivities frequently (many as high as 25%) in many of those foods in people with diagnosed gluten sensitivity. This may reflect that when you have a leaky gut, food intolerances are quite easy to form. If you have autoimmune disease (which has a very high correlation with gluten-sensitivity), celiac disease, gluten-sensitivity, or are simply not seeing the improvements you were hoping for by following a standard Paleo diet, one or all of these foods may be the culprit. You have the choice of either cutting these foods out of your diet and seeing if you improve or get tested to see if your body produces antibodies against these foods. Thompson T et al. Gluten contamination of grains, seeds, and flours in the United States: a pilot study. J Am Diet Assoc. 2010 Jun;110(6):937-40. doi: 10.1016/j.jada.2010.03.014. Cecilcio LA, et al. The prevalence of HLA DQ2 and HLA DQ8 in patients with celiac disease, in family and in the general population, Arq Bras Cir Dig. 2015 Jul-Sep; 28(3): 183–185. Thanks so much for this post. I’ve been Paleo for about a year now, after figuring out for myself that I was intolerant to gluten. After being Paleo for a while I indulged in a plate of nachos, and felt like I’d eaten wheat – that was when I first learned about corn and cross-reactivity. Over the weekend my osteopath diagnosed me with leaky gut, major inflammation (what? thought I’d gotten rid of that? ), low thyroid and low adrenal function (I also have an autoimmune condition called Alopecia Areata). He confirmed my sensitivity to gluten and corn, but also told me I’m very sensitive to casein and eggs. Well, raw dairy played a small part in my diet, but I had been eating at least 14 eggs a week! Since eliminating eggs four days ago, there is already a *visible* difference in my waist circumference! I can’t believe I didn’t notice how much inflammation was still there! My osteopath is still relatively new to Paleo as well, and is only just learning more about leaky gut, etc. I’ve referred him to your site as an excellent source of information! Yes, it was my Cyrex Array 4 results (react to everything on the list) that changed my life 4 months ago. Excellent article. Thank you thank you. It’s been 4 or more years since I did it and I think it was $125. Could have gone up. Do you know if raw cocoa/cacao is ok to eat? I’m about to get my cyrex results back but I’m confused if milk chocolate is cross reactive simply because it contains dairy? Or is it chocolate alone that can be cross reactive? When you say chocolate, do you mean the cocoa from it? Thanks! Now I understand why I had inflammation after eating rice and eggs and drinking coffee. I will be eliminating these too. And I want to ask something, sorry this is not related to gluten cross-reactivity. For 15 years, I couldn’t eat raw garlic and onions. I had to check everywhere I go, if a dish contained garlic or not. If I accidentally ate trace amounts of garlic in a dish, my body would let me know immediately by bloating, gas pain, and throwing out eventually. After going gluten-free for over a month and dairy free for almost a week, I can eat both garlic and onions without any symptoms. I am very happy with this new condition. But, at the same time I wonder how this is possible because this is too good to be true. Wow, Evren, that’s really interesting. I’m allergic to garlic. I’m working my way towards Paleo. I recently did wheat free for a month and noticed a difference in health but not in garlic. This gives me more ammunition against my cravings and I will get to gluten free (and Paleo). Thank you. Sarah, you do such an awesome job of explaining the science behind statements that other articles and books simply assert without any background – what an asset you are! So far, 2 months of strictest AIP have made little difference to my lichen planopilaris, but I feel much better overall and know I’m on the right path. My dermatologists know little about diet, so I rely on you (and pubmed) for other strategies – especially since you have a related condition. I wish your book would appear tomorrow! I keep cutting out foods and am now following AIP, GAPS, FODMAP, and thyroiditis protocols (for Hashimoto’s). I’m down to fish and grass-fed meats, lettuce, oils, vinegar and squash. Should vinegar be next? Maybe the fact that I share kitchen tools with my boyfriend is part of the equation – he eats absolutely everything 🙂 This post was extremely helpful – thank you! The link to the first graphic is broken btw. Actually, what I think should be next is adding some non-starchy vegetables back in. Maybe expand on your salad greens, try some collards, kale, carrots, cucumber (you can scrape out the seeds), bok choi, chard… I’ve just finished writing a section on the book about the importance of dietary fiber so if you’re too low on veggies, that could be contributing. Also, veggies are a really important source of antioxidants, vitamins and minerals. The skin is the lowest priority organ, so you really need to flood your body with micronutrients to get the skin to heal. Also, in my research I’m showing no reason to avoid the goitrogenic veggies typically recommended for thyroid disorders and long as you are getting iodine and selenium, which you are if you are eating fish, seaweed and using pink salt. I’d also suggest trying out Prescript-Assist as a probiotic. And don’t forget the importance of sleep and stress management. Glad to read this! I recently reviewed one of your older posts to see what you say about goitrogens and hyper thyroid conditions (a classic: https://www.thePaleomom.com/2012/05/modifying-Paleo-for-autoimmune.html). I was thinking I should remove kraut based on that. I feel like it is beneficial for me so I have been resisting removing it. Sounds like I can keep my kraut. There’s a few more points that I’m researching, but an update to the AIP is coming soon. Great info, and great news about the goitrogenic veggies! I’ll look into how much iodine and selenium is needed to counter-balance those. Thank you, Sarah! please bear in mind that if you have hashimoto’s thyroiditis, you need to stay away from iodine until your antibodies go down! Great article! I am intrigued by the cross-reactivity. After not seeing results for months eating Paleo (no corn, potatoes also); I realized my sensitivities to the cross-reactive foods. It has made a huge difference along with my severe mold toxicity diagnosis. Also, wandering about cocoa and cocoa liquor. Are these considered gluten cross-reactive? Ok, back to the coffee on AIP. Were you recommending avoiding it because of the gluten cross reaction possibility, or because its a bean (or is it more a seed?) ? Meaning, if the cross reaction is no longer an issue, is it still not AIP friendly? I understand the other issues surrounding why it might not be optimal, but do you think maybe a cup or two in the weekends only might be ok, if tolerated? So, coffee is still inflammatory. It still spikes cortisol and causes an exaggerated cortisol reaction to acute stress (so your cortisol goes up even higher after a guy cuts you off in traffic than it would of if you had skipped the coffee). BUT, I think that if your disease is well managed, your sleep is great, your stress is low, and you want an occasional cup, I now think that’s probably okay (was that enough caveats?). Very Interesting! Thanks for writing this…..
Do you have a recommendation for a good “bread” that does not contain the above ingredients? We have been making a coconut/egg bread at home, but now I am wondering if there is anything “bread-worthy” that does not contain one of these ingredients. I’m not sure I’ve seen any bread recipes without eggs. I suppose some recipes you could use an egg replacer like flaxseed, but I’m not sure that’s really a very healthy alternative. i’ve used a mashed banana as an egg substitute in bread — works well! Thank you! I already know that I can’t deal with chocolate. Still, I’d like to know if non-dairy chocolate is also cross-reactive. So, after elimination and the gut heals, some of this can be tested again (provacation)? I’m hoping I can add eggs back in after a while. No. Non-dairy chocolate is not technically a cross-reactor. Seems to be a common sensitivity anyway though. At risk of sounding really, really dense, will you please clarify: The only items on the list that were found to be cross-reactive were all dairy including whole milk and isolated dairy proteins, oats, brewer/baker’s yeast, instant coffee (but not fresh coffee), milk chocolate (attributable to the dairy proteins in chocolate), sorghum, millet, corn, rice and potato? SO….. The other things in the list of 24 items were NOT found to be cross-reactive? Thanks for your help and for ALL you do. I trust you and your information implicitly, as you are so focused on evidence-based practice! I really appreciate you looking into all of this for us. One more quick question: “Nutritional yeast” is different than bakers/brewers yeast, correct? That’s right. The other things on the lists were not found to be cross-reactive, BUT they do appear to be fairly common food sensitivities in people with gluten intolerance and/or leaky guts. So, just because they aren’t cross-reactors doesn’t mean that they are automatically fine for everyone to eat. I wanna find some replacement for the cheese(still don’t understand, is aged cheese Paleo or not? ), and I found DIY Paleo “Cheese” with nutritional yeast. Now I saw your comment and… so upset… May be you have another replacement for the cheese, haven’t you? Is anyone else confused about fermented foods? Nearly every naturopath says that fermented foods are important for healing the gut, but this post (and thank you again, Sara, for finding and reporting such useful information!) suggests that fermented foods might cause cross-reactive symptoms–since (if I have this right) all fermented foods could contain yeast? Is that right? If that’s so, it might help to explain why I have had no improvement on the AIP, since I have been eating a lot of fermented foods–thinking they were good for me! If Sara or any readers have experience or clarification on this issue, I would really appreciate it. I am highlighting yeast sensitivity in the troubleshooting section of my book for this exact reason. Certainly, this doesn’t apply to everyone with autoimmune disease,but there is probably a good fraction of people out there who won’t be able to tolerate natural sources of probiotics for this reason. There is more yeast in kombucha or kefir than fermented vegetables, so you might keep an eye out for more dramatic reactions or symptoms of your disease when you have those. Maybe try 2 weeks without any fermented foods and see if that helps anything. Thanks. I’m glad that you’re addressing this. Fermented foods are powerful–for good and (sometimes) for evil. More is not always better. I think that some folks can forget that! Do you have a link or list to what foods to stay away from when having a sensitivity to yeast ie: milk, cheese, beer, wine, spirits, sauces etc…? No, I don’t. But, that would be a very useful thing to put together, so I’ll see what I can do. Hi Sara! Does this apply to home made coconut yogurt? And does it make a difference if you use yogurt starter instead of milk kefir grains? I have wanted to try your recipe for a while now. Is there still yeast in that yogurt? Is it possible to get anything probiotic without getting the yeast? If you u a yeast free starter (or a yeast free probiotic supplement as a starter), then you can make coconut milk yogurt without yeast. If you make it with kefir though, it will have yeast. Food sources of probiotics will all have some yeast in them. So if you have healed your gut, is there a need to worry about cross-reactors? Of course, that assumes you have a way of knowing if your gut is healed. I have reason to suspect I have had leaky gut in the past and have tested positive for sensitivity to wheat, corn, barley, rye, buckwheat and some non-grain foods (but not dairy, oats or chocolate). If your gut is really healed and your immune system has calmed down and you are avoiding foods with potential gut irritating proteins in them then yes, you typically can add those foods back in. I assume that this wouldn’t apply to people with coeliac disease (as opposed to non-coeliac gluten sensitivity) though? Wouldn’t they need to avoid them completely as the immune response to gluten (and gluten pretenders) is permanent? Keen to hear your thoughts. If you do cross react to any of these foods with celiac, they will probably never be tolerated. But, you might not cross react with any or all of them. Thank you so much for this! it’s perfect timing, because I’m writing up a post about kombucha, and since bakers/brewers yeast is so different from the beneficial yeast in fermented foods, I had a hard time believing that all yeast was cross-reactive. This report showed it’s not. Like you, I do a lot of research before writing a post and couldn’t find any information about this until today. You rock! After posting, I read through the comments and saw your mention that nutritional yeast is the same as bakers/brewers yeast. I did some searching and see that the yeast in kombucha varies from scoby to scoby, but is often bakers/brewers yeast as well. Shoot! Well, I’ll include the information in my article. I realize not everyone is sensitive, but it could explain why some people are. I’m looking forward to the yeast section of your book (and your book in general.) Thanks for all you do, Sarah! Feeling very luck that I found SCD first…all but two of the above (seseame and eggs) are out! I’d always felt weird about the lack of science behind SCD…and we’ll, here you go…filling it in bit by bit. Thank you. I’ll start today with a pause on fermented veggies. So sorry for all the spelling and grammar errors, I was trying to type it quickly on my phone. I just took the Cyrex Labs Array 4 test because my alopecia areata keeps coming back even on a Paleo diet. It was hard to see if doing the autoimmune Paleo protocol would work because it takes so long for the hair to grow back anyways. I found that I have sensitivities to rice, potatoes, I also have an equivocal (semi) response to eggs, phew at least eggs aren’t totally out of the question. But what is interesting is that even though I consumed tons of dairy for the test to see if I had dairy sensitivities, all of the dairy results came back negative. So two questions for you. 1. Does this mean that grass fed dairy can still be eaten like butter along with occasional aged cheeses and yogurts? 2. Since I have sensitivities to potatoes, does this mean that I probably have sensitivities to all nightshades? Thanks for your reply in advance, its hard to find people who understand these issues like you do. 1. Yes, you are probably okay with dairy, especially if you stick with grass-fed raw or VAT pasteurized. Just be aware that dairy (even pasteurized) contains protease inhibitors which can cause a leaky gut even if you aren’t intolerant. So, maybe keep the portions on the small side while you’re figuring out if that’s a problem for you. 2. Maybe and maybe not. It depends on exactly what protein in potatoes you are intolerant of. However, all nightshades contain glycoalkaloids which can cause a leaky gut and stimulate the immune system. I would be very cautious of them. Sarah, I have celiac. Just to clarify: chocolate = bad, cocoa = okay? Also, do many people with auto-immune diseases and leaky gut have b12 deficiency, or is that just celiacs? Quote from my book: “Vitamin B12 deficiency has been demonstrated in patients with multiple sclerosis, celiac disease, autoimmune atrophic gastritis, and type 1 diabetes.” Anecdotally, I hear about it a lot in people with IBD too. Sarah, I’m curious WHY you’re saying chocolate and cocoa powder are bad for a celiac? Wouldn’t it be more on and individual basis? For example I tested as tolerating chocolate on a sensitivity test. Are you saying I should still avoid it ( with auto immune disease), and why? Thank you. thank you so much for this very informative post! Last week I started eating my very first batch of homemade kefir as another step in boosting my gut healing, but the last few days I’ve been feeling very ill. I am very sensitive to yeast, so now I just understood that the kefir probably is the cause of this setback. Glad I learned this! No more fermenting for me, I’ll continue to rely on probiotic supplements instead. But this made me wonder about another product, how is it with apple cider vinegar and yeast? Is it different from brand to brand? Avoid or proceed with caution? I’m really looking forward to your book! If you don’t have a yeast sensitivity, fermented foods have far more diversity than any supplement you can take. A typical fermented food might have between 40 and 600 different strains of probiotic organisms. Most probiotic supplements have between 2 and 8 (Prescript-Assist, which you could add on top of fermented foods since it’s a soil-based probiotic has 29). Thanks so much for this great article. I have gluten intolerance that manifested itself with left rib pain on my side right under my armpit and heartburn. I am still having problems though and have gotten pain on my right side recently, as well as a bad attack of heartburn/gas pains radiating to my back a couple of weeks ago. I am concerned about the right side under armpit pain and consequently my gallbladder, though I don’t think fat is the trigger. I have read your post about this and as a 23-year old I would not want to have it taken out, but am considering getting it tested. I have been gradually losing weight not knowing what to eat so I am considering adopting the autoimmune protocol. I I often consume protein powder, would pea protein be okay or is it too processed? As a side note, I also struggle with seborrheic dermatitis on my scalp, minor Keratosis pilaris on the back of my arms and PCOS ( I eat high protein, gluten and dairy free). Thank you for all this information. I understand if you are not able to respond! I would suggest trying a standard Paleo diet first, get some good fats and lots of veggies. I generally recommend moderate protein, moderate fat, and moderate carbohydrate. I do not recommend pea protein powder. 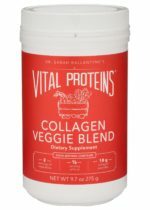 The only protein powder that is AIP-friendly is gelatin or collagen powder. I also suggest looking into digestive support supplements, especially digestive enzymes and ox bile. Thank you so much for your reply! I have been thinking a lot about the AIP and agree with you that first Paleo is a good transition. I will be moving towards a Paleo diet; I haven’t been eating beans since my last episode but there is more work to be done! I take soil based probiotics but no digestive enzymes so I will look into that also. Thanks again! I look forward to reading your book. What you call Paleo diet is better know in France as Dr. Seignalet’s diet that I have now been following for 3 months (I was diagnosed as fibromyalgic but I tend to think I have celiac disease rather). Some improvement but not enough and incredibile reactions on some days. If I want to play totally by the book I should be eating vegetables (but no tomatoes for instance – I have been eating tons of tomatoes), fish and bones broth then? I am motivated, pain is excruciating. My husband and I had a Cyrex Labs gluten and food sensitivity test and my husband’s gluten test came out worst than mine and he had a totally clean food sensitivity test. It made not sense really. The test can be expensive and the results may not be right. Sometimes, the immune system can be so beaten down, that your reactions will be ‘slight’ to equivocal but that can really mean that you still have reactions. So one person’s test coming out ‘worse’ than another’s is not an accurate assessment. You are doing such a fabulous job of educating people through these confusing issues! Keep up the good work, and keep researching and looking for answers and refining your perspective (as you have been). You are a light in a world that often feels dark and lonely once a person realizes they have to eat differently than their family and friends. This often adds to the stress an autoimmune person is dealing with. 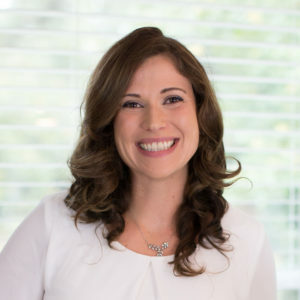 I will be letting my patients know about your site as I help them on the road to regaining their health and vitality (or experiencing it for the first time ever) and reducing their autoimmune symptoms. As a person and clinician (naturopath and psychotherapist) who has dealt with serious health challenges and autoimmune disease, I personally know what it’s like to be sick and how to regain health. BTW, I use the Cyrex tests in my practice and find them to be very helpful in motivating my patients to be vigilant once they see the destruction that has been happening from what they have been eating. Thank you for your passion, commitment and inquisitive mind…you are a gift to the world! I’ve also noticed a similar digestive reaction to cod liver oil (Green Pastures) which I thought was odd. And my one year old daughter also had a reaction to COL. Minutes after taking it she got a rash on her face and chest. Unfortunately I was not able to breastfeed for very long so she has been on formula ugh. Otherwise I have her on a mostly primal diet which includes dairy. I was giving her cheese (she won’t eat yogurt) and she seemed to tolerate that well, but milk gave her diarhea. We stopped the milk and started COL for the Vit D but stopped it after noticing her rash. Have you come across anything related to cross sensitivities to COL? Actually, I have heard of reactions to CLO and kombucha (might be the yeast but might be a strain unique to kombucha so it’s still worth trying other fermented foods). How is your daughter with fish in general? I too get stomach aches from kombucha. It might have been the yeast, I had Candida at the time and would not be surprised if my body was sensitive to it. The yeast is alive in kombucha, like raw bread dough. Dead sources of yeast, like nutritional yeast or cooked bread, did not cause a reaction in me. This is different than a protein sensitivity. I love listening to your podcast and feel it is very relevant to me as I have Hashimoto’s Disease, so your focus on the Autoimmune Protocol has been wonderful for me. I have a question. I took the Array 4 from Cyrex Labs last year and came back as being clear for all foods on the list except yeast. If it were you, would you trust this – meaning I might be able to enjoy some of the non-grain foods once in a while from that list? Also, since I am cross-reactive to yeast, I wonder if this is why I can’t even SMELL sauerkraut without all kinds of symptoms. This is also the case with other fermented foods. I am frustrated because I want to make my own yogurt with my great source of raw milk but although I am not cross-reactive to dairy, on another test, I show sensitive to yogurt! Do you think this might be why I come back sensitive to yogurt and not all dairy? Thank you in advance for answering my questions and thank you so much for all the great information. I reference your blog a lot on my website. Array 4 will only tell you if you have an immune reaction to those foods and can’t measure the other ways those foods can affect your gut barrier or interact with your immune system. This mostly applies to the grains and pseudo grains. I think that raw grass-fed milk, egg yolks, tapioca, sesame would be okay to include. Have you tried your own homemade yogurt with a yeast-free starter? It could be that since you are so sensitive to yeast that a little yeast in the yogurt is the problem (its hard to keep yeast out of fermented foods). What I would do is find a really high quality lactobacillus-based yeast-free probiotic (I like kirkman bio gold) and use that to start your yogurt. I do want to try yogurt and never thought about a yeast free starter! Is the one I am using yeast free? http://www.culturesforhealth.com/viili-yogurt-starter.html I haven’t used it since before GAPS because we (my GAPS practitioner and I) weren’t sure if I was reacting to it based on the sensitivity test. If it is yeast free, maybe I will give it a shot. I guess I need to understand what a yeast free starter is first. LOL I can’t seem to handle any vegetable ferments at all – I get palpitations and feel sick. Also, one more question….is it bad to be using a light olive oil that supposedly is “pure” like this one for mayo? http://www.evestable.com/2011/06/bertollis-extra-light-olive-oil.html I so desired a mayo that wasn’t so strongly flavored by EVOO. Any suggestions on a replacement as I am sensitive to walnuts so I can’t do that. And a confession – since I didn’t test sensitive for cocoa in both cross-reactivity and sensitivity I was thrilled to add butter from grass fed cows (Kerry Gold) melted with cocoa and a dash of honey and vanilla with almonds to make a “chocolate bark” which seemed to help clear my asthma unintentionally. I found out later that the fats in the butter (and possibly something in the cocoa) worked together to help my lungs? But then I read your post and now I’m questioning that indulgence and have taken it out. Do you think eating it in moderation is safe since I am on the GAPS protocol? Or would you keep all cocoa out until I feel I’m done healing? Thank you so much for even reading half of this response! This is the first time I commented and I am so thankful for your response. It’s so hard to navigate the waters of food sensitivities and sometimes it gets discouraging to go backwards after making so much progress. I have been LOVING your podcasts and thank you so much for including a lot of autoimmune protocol information. I am hoping to start that process by June. I would suggest contacting the manufacturer of your yogurt starter to ask. Do you take probiotics? The other possibility is a histamine intolerance, in which case yogurt is not going to work (heart racing is one of the typical symptoms). If you take probiotics, then it’s almost certainly the yeast. If you try it, go SLOW. The olive oil will have less polyphenols which are responsible for many of the health benefits, but it’s still okay to use. I like to use half evoo and half avocado oil. Macadamia nut oil is another good one. If butter and cocoa are working for you, go for it. Especially if you are getting grass-fed, those are great fats. The issue with dairy is the frequency of sensitivities to it (and there are extra concerns with pasteurized dairy). The issue with cocoa is sensitivities and also that it is very high phytic acid, which can be a gut irritant. If you aren’t sensitive and are keeping the amounts you eat small, it should be fine. How can one go about finding out if they have a histamine intolerance? Would this also make sense if I get a fast heart rate from coconut oil? I have always been sad that I can’t have it since it can be so good for a person but I actually get sick from a small amount of it and no one has been able to decipher the problem. I wonder if it is related? Also, is it treatable? Thank you so much. You have been so helpful! You can have your blood histamine and DAO tested (the enzyme that breaks down histamine in the gut). Or you can remove high histamine foods and see if you notice improvement (tough because histamine production in food is typically a result of handling and can vary dramatically, but typical culprits are deli meats, anything fermented, and fish). I have been on the AutoImmune Paleo diet for about 2.5 months until a few days ago. I gave up and reintroduced nuts and honey because I got a concerning phone call from my doctor (btw, my eczema came back almost immediately). They called to tell me that my lab work came back and I had high LDL levels now and some other “girly” issues. I was totally shocked and disheartened because it has really taken all my time and effort to make sure I stay on a strict AI plan. I am only 31 and have never had any of these issues before. I teach dance for a living and have a 4 yr old to keep up with, so I am pretty active. I get my labs done once a year and they always come back mostly normal (but occasionally low vitamin D). My vitamin D levels were starting to fall again despite taking high dosage supplements daily, so they recommended I increase. But, my main concern is the LDL. As far as what I have read, my best theory is that my PH levels in my body have changed. I am not sure how to proceed or if anyone has any advice. I did make appointments with my GI doctor to get weaned off of Prilosec that she put me on 2 yrs ago for “chronic acid reflux and mild gastritis.” I am thinking, though, my problem may actually be too low levels of stomach acid instead of too high, so the Prilosec may be making it worse now. I have read that LDL spikes are common on the AutoImmune diet (based on people like me posting on blogs), but I have yet to see anyone figure out what the problem was and how to fix it. After I am weaned off the meds, I want to get my acid levels in my stomach tested, but I am wondering if there is something I am missing. They did check my thyroid in the blood work and said it was normal, but I am wondering how accurate that is????? Thank you. High LDL by itself is not necessarily something to worry about (depending on how high it is, what your total cholesterol is and especially what your trigylcerides are since that’s the most important factor here, but it would also be good to know your C-reactive protein). In fact, there is a growing body of evidence in the scientific literature that it is actually healthier for women to have a slightly higher LDL and some researchers are pushing to have the normal range re-defined. Which is why it’s hard for me to comment without knowing what your other numbers are. How were you feeling? Did your doctor do a full thyroid panel? It’s also really tough to pinpoint where your diet could be tweaked without knowing exactly what you are eating and what supplements/medications you are taking. But, I can say that Prilosec is a big red flag since it will be hindering your digestion and I think you are absolutely on the right tract to wean off of it. Thanks! I finally got my actual report with the specific numbers and took it to my new PCP. My LDL was only 112 and my HDL was pretty high, so it made my total 298. My Tri’s looked good, though, and the dr. said she wasn’t worried b/c I am so young and active (and the 112 wasn’t that high). After a day or two of eating whatever I wanted (when I was upset and had gotten the original report of “high LDL” w/out specifics), I had a massive eczema outbreak. I have been back on strict AutoImmune Paleo since then (about 2.5-3 weeks now) and it is almost cleared up. Thank goodness! I am going to pursue getting an IGg and IGa tests to test for sensitivities to pears and coconuts among other things, but my dr seems to think the scratch tests will be more accurate. I am wondering if they just misunderstand me and think I am trying to get tested for a true allergy. Have you ever heard of the scratch test for sensitivities? I am also wondering HOW and WHEN it would be best to wean myself off of Prilosec b/c my GI specialist just told me to go “cold turkey.” I immediately sought a new GI. We are going to DisneyWorld next month and I really don’t want to be miserable due to not being able to eat some treats or due to eating some treats and not having the meds I may need. Any tips, suggestions? My understanding is that scratch tests just test allergies and not sensitivities. I went cold turkey off of Nexium, which I had been on for years. I remember hardly noticing a difference at all and just continuing to see improvement in my digestion. Although, knowing what I know now, my suggestion would be to add some digestive enzymes to make sure that you’re really digesting your food well and dealing with overgrowth as you go off Prilosec. And then do the other acid reflux things like don’t go to bed too soon after eating, don’t drink mint tea, maybe prop up the head of your bed 4-6″ so you’re sleeping at a bit of an incline. I don’t know how to help you eat treats without it affecting you, but I can suggest bringing any meds you think you might need just in case and bringing some treats that you know you can have so you don’t feel left out. Thanks for this post. I just discovered your blog while doing some research about gluten cross-reactivity, and I really like your writing style and your scientific basis! I was wondering about your thoughts on IgG food allergy testing. I’ve seen multiple sources that question the validity of the results; in fact, Chris Kesser says in one post (http://chriskresser.com/rhr-can-autoimmune-disease-be-prevented-and-reversed) that IgG testing is “not ready for prime time” and that he thinks “most food sensitivities are caused by leaky gut.” Dr. Emily Deans has voiced a similar opinion (for example, in this article: http://www.psychologytoday.com/blog/evolutionary-psychiatry/201106/how-does-diet-affect-symptoms-adhd). These are just two of many sources that cast doubt on IgG testing for food sensitivities. So what does this mean for the gluten cross-reactivity test? The phenomenon of gluten cross-reactivity certainly seems plausible, but I’m having trouble finding much evidence proving that it’s actually an issue, and it seems like the general consensus is that IgG testing is not the way to go about testing for potential problems. I’d love to know your thoughts on this – thanks! I think the best way to know if a food is a problem for you is to eliminate it from you diet for a month or longer and then reintroduce it and see how you react. The problem comes when there are multiple that you are sensitive to and sometimes eliminating just one won’t allow you to see improvement or even a dramatic reaction when you reintroduce. In that case, I think food sensitivity testing can be a very powerful tool for narrowing in on the problem foods. It does seem to be a test with some reliability issues, but IgG antibody production is also a very dynamic system, which may account for much of the variability in testing. And, yes, I do think that most food sensitivities are caused by a leaky gut, but continuing to eat those foods can undermine your efforts to heal your gut, so it’s not something to just ignore. So, I think it’s a good tool for people with very leaky guts and therefore multiple food sensitivities, but there’s also plenty of other ways the body can be sensitive to foods that these tests aren’t designed to measure. So, I wouldn’t rely solely on the results but instead use it as a starting place. That seems like a logical approach. Thanks so much for your response, Sarah! I see no evidence that it would be a gluten cross-reactor, but it is high in phytoestrogens, which is probably why it helps your hot flashes. Hi Sara I just got my results back from array 4 and it says I’m out of range for cows milk, casein etc, milk chocolate, oats, eggs was a big one, hemp, amaranth, tapioca, teff, and potato. So with the research that you spoke about would that mean that Teff and tapioca are safe for me to eat even though it came out as out of range? If you tested out of range (which means it was so high they couldn’t measure it), you should not eat that food. Even though it’s not technically a gluten cross-reactor, the reason why it’s included in array 4 is because of the high frequency of people who test positive for it who are also allergic to gluten. Wheat gluten proteins consist of two major fractions: the gliadins and the glutenins. These proteins are broken up into some predictable chunks by our digestive enzyme (the 33 is a code for a specific chunk of gliadin, same with 21-mer for glutenin). Each chunk is tested separately on array 1. So, yes, you daughter is extremely gluten sensitive and putting her on a gf diet is absolutely appropriate. You may want to consider array 4 for her as well unless your whole family will be avoiding those foods from now on. Thank you so much for your fast response. I’ve been so worried about my daughter’s results because I don’t want her to get all the issues I have with Hashimoto’s (plus my dad died of lupus). I feel like my world is over without eggs, tapioca and potato flour. There goes all my baking. It will be an adjustment. Thank you soooo much for taking the time to explain things to me. You really are a wonderful person on a mission to help so many of us with these issues. Btw. I apologize for forgetting to add the h at the end of your name last night in my email. Wow! This is so informative and clear. I’m beyond happy to have found your blog! Fantastic article. I am so glad I came across your blog! Thank you for sharing the amazing information! Thank you for this valuable information. I’ve even experienced inflammation with coconut oil – is that possible? And, just wondering, what about raw organic cacao? Yes, it is possible. While coconut oil has tons of benefits, it can actually increase IgA antibody production to other foods you are sensitive to (now of course, you’ll want to both take a break from coconut oil and try to track down what you’re eating that you have an intolerance to). Cacao is not a gluten cross reactor. Thank you! Even my naturopath looked at me like I was crazy when I said I was experiencing an auto-immune reaction to coconut oil. I think what may be happening is the protein supplement I’m taking – it’s very high-grade and made of pea and rice protein. I’m going to go off it for now and see if that helps. Only problem is – now what!? What to eat for breakfast? And when I travel! Yikes. Can’t do hemp, whey or soy, and now can’t do rice or pea. Is there a protein powder you recommend? Thank goodness I can still have a little cacao! You could try gelatin or collagen powder (not really a balanced complete protein, but a good source of glycine). You could also try beef plasma protein (but it always has soy or sunflower lecithin added, so that may or may not work for you). I eat meat, veggies and fruit for breakfast. Thank you! Just reading up today and realized Cacao is not a good idea for me with my leaky gut. Wah! I’m begging for your help in understanding and coming to grips with my own Cyrex test results. I am not reactive to gluten/wheat at all, but I did show reactivity to soy and yeast (out of range) and soy and tapioca (equivocal). I know I’m in the minority here and everything I read explains the cross reactivity as producing a glutenous immune response in the body or that those foods make your body think you’re consuming gluten. How in the world am I reactive to other things, but not gluten/wheat? Everyone points to gluten/wheat as the primary issue with these cross reactive foods as accomplices, not primary culprits. I was not exclusively gluten free prior to testing. I just can’t make sense of it which means I can’t explain it to anyone else either! Thanks! I have Hashimoto’s , leaky gut, candida, low adrenals, and major gluten sensitivity. My doctor currently has me on a strict Paleo diet minus fruit and eggs. They do have me doing a shake in the morning w/either hemp or rice protein, chia seeds, coconut milk, and almond butter. Reading this article plus the one on nuts it sounds like I shouldn’t be having nuts, seeds, or rice/hemp protein. Your thoughts on this please? Also, what are good breakfast options for me I can eat on the fly? And, what is a good snack for me other than guacamole that have protein and fiber? Thank you so much for all of your research and knowledge! As for shakes: I think beef plasma protein or collagen would be better choices for protein, avocado or coconut milk would be good choices for fat. A common snack food for me would be a cup of broth, some canned fish or oysters, homemade jerky, or leftovers, usually with some veggies or some fruit. Thank you so much for the wonderful info! I will buy some berg plasma or collagen protein and try that for my shakes. I though I was doing good w/chia seeds and hemp/protein powder and now I am wondering if I was hurting myself. It is so hard w/candida because the only fruits I can have are blueberries or a little bit of green apple. I recently came across an article in which the author considered buckwheat to be a seed and not a grain. (http://chriskresser.com/heavenly-sourdough-buckwheat-pancakes) Though I’m understanding that buckwheat is potentially contaminated by gluten and also potentially cross-reactive, something inside me is excited about the prospect of reintroducing it one day (like other seeds). I’d appreciate hearing your thoughts on this. As always, thank you for your dedication and your oh so generous site. Looking forward to the book. All meat? What about seafood? What component are you allergic to? Can you have hydrolysed amino acids (like a collagen supplement?). Can you have egg yolks? What about animal fats? Can you consume grass-fed tallow or pasture-raised lard? Does it help to take digestive enzymes (pancreatic enzymes) and ox bile when you eat animal foods? The two major problems with trying this out with a completely vegan approach are lack of fat-soluble vitamins and some essential B-vitamins and lack of sufficient and complete amino acids to promote healing. Pescetarian definitely works really well if you can handle fish. I have been doing the AIP diet for a month now, before that I followed regular Paleo. I am working on healing my fatigue caused by celiac, leaky gut and adrenal fatigue. I know that I have a lot of issues with yeast. However I was making a point to have either sauerkraut or kombucha on a daily basis. It’s been 5 days since I’ve cut it out and have been feeling much better. Not sure if this is due to the lack of yeast or that I have been on the AIP diet long enough to start seeing results. My question is though, if it is the yeast, which I plan on avoiding these items for at least a month and then re-introduce and see how I feel. Should I also be avoiding other things that are fermented or have yeast? Like coconut amines, balsamic vinegar, ACV, canned olives etc? I’ve cut out so much already that I don’t want to eliminate anything else if it isn’t necessary. thank you for all of your wonderful articles! They are so helpful and such a great resource when trying to navigate alternative healing methods for autoimmune issues. That’s a really good questions, and I admit that I don’t really know the answer. If it’s a food sensitivity to yeast, cutting out all foods that contain yeast for a while is advisable. But, if you’re noticing a different by just cutting out sauerkraut and kombucha, then I think it’s worth continuing on this path and seeing how far it gets you before cutting out any other foods (often we get so elimination happy that we end up depriving ourselves of important nutrient-dense foods and variety and cause more problems than we solve). I see multiple people have asked about cocoa and chocolate but I am curious about cacao nibs. I have been eating these by the spoon full thinking that I was giving my body some serious antioxidants to work with but am now questioning whether or not this is wise to do for the time being. And I just used CTRL-F to find the answer to that question. Ooops! hello I’ve found your research very compelling and I am moved, you see my beautiful 10yr old daughter as been recently diagnosed with hidradenitis suppurativa and she has done at least one surgical operation with no relief and the only solution being offered is more surgeries tears have been shed with the thought that my daughter would suffer for many years to come. I am searching for answers to give my daughter a normal life. I personally know people who have successfully put HS into remission with a Paleo diet (or in some cases the autoimmune protocol). Check out primalgirl.com for a personal success story. Sarah – thank you so much for your wonderful information. After being diagnosed with Hashimoto’s and going aip for over a month, I started working with a nutritionist, who did both a Metabolic test and a MRT test. Should I also do the Cyrex Array 4? I was really interested to see the results of the MRT – it showed a sensitivity to beef, cocount, olive, (all of which I was eating aip) some nightshades, mushrooms (which I have not liked my whole life) as well as some other foods and chemicals. So, I am also eliminating those from my diet. The MRT showed that I did not have a reaction to whey, yogurt, and some grains, but I am hesitant to add those back in. I started this process at 112 lbs (5’2″) and am down to 105 and certainly don’t want to loose more weight. I guess at this point, I am a little confused on exactly what to eat! All of the foods eliminated on the AIP are eliminated for reasons that go far beyond food sensitivities. Food sensitivity screens can be useful for identifying additional problem foods but an elimination diet is really the most sensitive way to determine if a particular food in a problem. The MRT/LEAP test has not been validated in the scientific literature and is not used in research or clinically, so I can’t comment on the results of that test. I was wondering how careful I should be being as far as avoiding trace amounts of gluten? I have Hashimoto’s and have been diagnosed as being gluten sensitive. I just started the Paleo diet. I sometimes get salads at subway when I’m at school and I worry about the bread particles contaminating things…expecially when they cut up the stuff for the salad on the same line they make the sandwhiches on. Any advice? I don’t want to appear like a crazy person when I go out to eat, but I do want to be careful so I don’t mess up the diet and thus all my hard work. Thanks! You will probably find that your sensitivity increases the longer you’re Paleo (it’s not that you’re more senstive really, but that you notice the reactions much more and there are a variety of reasons for this). As a fellow crazy person, people seem to know more about gluten sensitivity these days and it’s not bad being the weirdo (I’m always apologetic, which seems to help)–what’s much harder for me is nightshades, since people don’t seem to know what those are! 1. 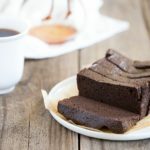 I am recovering from SIBO and don’t eat most of those foods on the list – I do eat rice, and I keep trying to eat chocolate and eggs and fail:( So – don’t you need to be eating these foods to get an accurate antibody test – it takes a few weeks to get enough antibodies I would think to get an accurate test. Do I risk further damage by eating small amounts a few weeks before the test? 2. I am married to an academic doctor who is very skeptical of all the testing that is now offered that people pay out of pocket for. Univ of Chicago Celiac Dis. Ctr. has emphatically denied the validity of this test – how can I justify the $500 to him? It makes it even more difficult that the only paper published is authored by someone from Cyrex. If it really is a case of antibody cross-reaction, as long as one food that you are creating these antibodies against (that cross-react with gluten) is in your diet, you will be able to measure it (the idea here is the same antibody is reacting to several foods). It would be nice if there was more science, but at least the paper is published in a peer-reviewed journal. All of these types of tests have limitations and they are certainly overused, but there’s also a great deal of validity, when the right tests are done for the right reasons. As far as getting the Cyrex test done, an elimination diet is just as sensitive. It’s nice to test when there’s so many foods that might be culprits because eliminating all of them can be a protracted process to isolate the problem foods. But, if it’s just 2-3 foods, then eliminating is easier. Thanks Sarah, that helps. I have an appt today with a U of C specialist in adults with celiac who are symptomatic. I am curious to see what she has to say about all this. Its been 2 years trying to figure out what foods are my triggers because there are so many – I suspect as my gut heals I will be able to tolerate more but it would be nice to know what foods I will just give up on! I am a scientist as well and had to change my mindset to consider IgG tests, but I did and they helped. I’ve had four members of my family tested. I had an IgG test done first, eliminated foods and reintroduced one by one and found the test actually help pinpoint some things. I knew from my own issues that I reacted to some of the foods on Cyrex Panel 4 even before i knew about Cyrex – hemp, sesame, coffee, potato, chocolate, etc. so I felt much better discovering this test exists although I am not American and cannot access it yet. As for ferments, it may be an issue of amount. I have heard of some people having to start with miniscule amounts (1/8 tsp of sauerkraut or less a day) and then work their way up slowly from there as they heal. How does Cyrex testing compare to ALCAT testing? Is it possible that foods that come up as non-reactive may still be problematic? It’s a similar test, but I’m not sure if there’s a difference in terms of false positives or false negatives. Yes, it is possible for non-reactive foods to still be problematic with either test. I have been gluten free for about 4 months and the first 3 months or so I felt great but the last month or so I am bloated and half sick again. I am wondering if cross sensitivity takes a while to appear? Thank you for this extremely interesting and informative information. I have been gluten and dairy free for about 5 years, and have such rigorous control over what I eat, that I can quickly tell what my body doesn’t like. But it has seemed so random at times, that it is hard to figure out a pattern. Yours is the first writing that I’ve seen that mentioned fermented foods as possibly problematic, so it was reassuring since I’ve sadly realized I can’t eat fermented cabbage without issues. Strangely, some chocolate is ok, other isn’t, without relation to cacao content. Some wine is ok, other wine isn’t. What I’ve read on that is that perhaps it is certain strains of yeast that one might be more sensitive to over others. But I am now very interested in taking this test; perhaps it will help with some of the mysterys. Thanks for the excellent article. Regarding the Cyrex slabs study, I notice that while they tested “Coffee (instant, latte, espresso, imported)” per the bullet points, in the ensuing paragraph you note that they only found the anti-gliadin antibodies’ cross reaction to “instant coffee (but not fresh coffee).” Is the culprit the fresh coffee or the “junk” that ends up in the processed instant coffee? Thanks again for the great material! Probably the junk that ends up in instant coffee, but what exactly has yet to be determined. Hi, i got my rsults back and am out of range for eggs and several other things. My question about eggs is whether that is to both the whites and the yolks? I left this question for them but havent heard back. This just in from Cyrex Labs concerning whether their test is for egg yolks or egg whites – they test both so if its a positive result (out of range) then it is for the whole egg. Darn! My doctor/researcher husband was appalled that they report “high negative” results as low positive or equivocal. He insisted that a negative result is a negative result and that it is bad science to report otherwise. Is allergy testing different? I don’t want to eliminate foods I don’t have to. I guess observing symptoms is the only sure way to know. My doc explained that Cyrex uses a narrower, functional medicine lab range when interpreting antibodies. This is called “predictive” autoimmune testing because antibodies are flagged as being problematic before they become severe. I started seeing a holistic nutritionist about a year ago. At that time I had been gluten free for about 1 1/2 years (celiac). I was feeling totally fine, but just wanted to make sure I was getting all of the right nutrients, pairing foods together correctly etc. She recommended I do a leaky gut protocol and take the Array 4 test. Lost of foods came back on it, I cut them out for 6 months and reintroduced and then retested. The only food I felt any reaction to was rice (a little bloated). The foods that came back were , most grains (corn, buckwheat and quinoa were fine), whey was equivocal, yeast, and tapioca. My question is, if I had gone into this and decided to cut those foods out and reintroduce without taking the Cyrex test, I would have thought all of them were ok (except rice) because I had no noticeable reaction. Mood stayed fine, gut reactions, headaches, general inflammation, etc. I didn’t notice anything. I had them back in my system for approx 2 months before retesting. I have omitted all of them after the retesting since mid-December. I saw a new holistic doctor for a 2nd opinion and he said that those tests were a good start, but that its possible my gut wasn’t really totally healed yet, and that if I healed it all the way, he didn’t see a reason I couldn’t eventually add those foods back in. For my purposes if that were the case, I would do it on a limited and rotational basis, but it sure would be nice to not have to scrutinize everything, and be able to travel internationally again! Also, speaking of international travel. If I were to travel and ate some of these foods for a week or 2 weeks, and was asymptomatic, would it be ok? But was strict for the rest of the year? I agree with the 2nd holistic doctor. As for traveling, it depends on here you are in your healing when you do it, what you eat, how nutrient-dense your diet is, how well your stress is managed, how well you sleep… but, in principle, yes, you might be able to do that. Thank you for the ridiculously quick reply! I thought I knew nearly everything about gluten-free and Paleo….but this Xmas when I made a rice pie crust (I only indulge in rice 2x a year) with tapioca instead of arrowroot, I was unprepared for the searing joint pain. I did not know it was a nightshade! (I do not eat tomatoes or white potatoes.) I woke up screaming in pain and just now, one-and-a-half months later, am recovering from pain, brain fog, bloat, constipation, etc…. It has been excruciating. You can order plantain flour from Amazon UK. I’ve also found plantains in my local greengrocer (Cirencester). Good luck! Sarah – I love all of your articles and have learned so much. After suffering from almost nightly painful gas, I switched in January to a Paleo diet and probiotic pills and have seen definite improvement. I have occasional relapses with gas when I try new foods that should be Paleo that lead me to question exactly what my issue is – lactose intolerant, celiac disease, gluten sensitive or what. Is there any easy way to get tested for all of this including cross reactivity without all the trial and error? Thanks for your help. I am not saying that they are not cross reactive – but cassava and tapioca and yams are not nightshades. They are in a different botanical family. I was surprised when I read that here. Why do you believe that they are nightshades? Thanks for such an informative post. I’ve been on an autoimmune protocol with my naturopath for 3 years now to treat leaky gut and many other symptoms derived from it. It’s been helpful getting testing on every ingredient before I add it to my diet, it’s slow but gradually moving. But one thing I want to add is obviously dysbiosis is a big issue with leaky gut and treating the parasite makes a big difference. It’s been a reoccurring issue for me but one that needs to be addressed if you want the condition to improve. Where can you get tested for this? The Cyrex Labs site has information on how to order tests. Does anyone know how to obtain these tests in Canada? Can a general practitioner order them? Thank you for some great info my 11 yr old has Crohns and the ELISA test was wonderful. Is there a difference in the test? Eggs are not dairy (even though they are usually in the dairy section of a grocery store). This test only looked at cow dairy and chicken eggs. Thanks for this informative article. I’ve known about cross reaction for several years, just not the science. This will make it easier to explain to people why I can’t eat any grains etc. I also suspected I should give up chocolate, but have been able to talk myself out of it until now. Sarah, thank you for this post! We are trying to follow the GAPS diet for our son, 19 mo. He was muscle tested for sauerkraut a few months back and was weak to it. It’s so high priority in GAPS and it’s really bugged me that he tested weak to it, as I don’t want to impede his healing in any way. He has also thrown up after ingestion of quinoa (even soaked and sprouted) – we were trying to incorporate some gluten-free carbs to cut back on our budget. Again, this article explains why this could happen. You’ve been at this longer than I have – have you heard of Paleo people being able to incorporate properly prepared grains in their diet after a few years of healing? Thanks, Sarah! Just wondering if you could please confirm when you mention ‘potato’ on the cross-reactivity list, is this just white potato? Also, when you mention ‘tapioca’ would this include sweet potato as well? I get a little confused between the two as I’ve only seen tapioca in the pearl or starch form… not as a root vegetable. One last thing, do you know of any reputable testing laboratories in Brisbane, Australia? I have been on the food elimination/trial-and-error for way too many years and wondering if I do the blood testing would it confirm foods that would definitely react with me? Thank you! Potato is just white potato, not sweet potato. Tapioca is from yucca (aka cassava), which is a completely different root. This was the case for me and pregnancy! My body was attacking ‘pregnancy tissue’ thinking it was gluten due to similar protein sequence. Very interesting! Having miscarriage or fertility issues, consider gluten being the issue. I started seeing a Functional Medicine Practitioner around the same time I bought your book – I am slowly reading through it, trying to absorb all of the fantastic science. My Dr. ordered the Cyrex Array 4, and while I was doing more research on it, I stumbled across this article. I am so grateful for all of your hard work, and your commitment to accurate information. I’m looking forward to seeing my results, because I have not noticed a big difference simply cutting out gluten. I have Hashimotos Thyroiditis, and I’m very hopeful that following the Paleo Approach will help alleviate some of my symptoms. If a person does not have a gluten problem, but is going to adopt this life style due to another autoimmune disorder, Hashimoto for example, is it true that once you go gluten free you can never eat gluten again? And if that is true, can this same person end up with Gluten Cross-Reactivity too? I have ordered your book, thank you for writing it. Thank you for responding and so quickly! Absolutely amazing info here. I can’t tell you how thankful I am to have this all in one place! I have been struggling with understanding the tests I took with Cyrex labs (Cross Reactive Foods and Gluten Sensitivity), and this helps. I found out I have a gluten sensitivity in transgutaminase 3 IgG (mainly effecting the epidermis) and I am still trying to fully understand what that means. While my doc did explain this a bit, there is much I do not understand! I do wish there was info all in one place for that also!! I’ve been searching for an answer to my question by reading your site and the general internet for a while now but I’ve not been able to find a specific answer. I used to get frequent migraines which have stopped after cutting out gluten. I seem to be more sensitive to it now and get occasional migraines after contamination, however I don’t have GI symptoms, just “low normal” ferritin/B12 levels and hair loss. Does this mean I must have leaky gut or do some people have purely neurological symptoms from the gluten and the hair loss is unrelated? I’ve been trying to do the “right thing” for gut healing by avoiding dairy and rice, taking probiotics, L-glutamine and vitamin supplements but my hair doesn’t seem to grow back as much as I want it to, and I don’t want to bombard my body with supplements if I don’t need to.. I wish I could ask my doctor, but he didn’t even believe me when I told him that gluten was the culprit for my migraines! Any insight would be much appreciated! Thanks Christina for your reply! I had never even heard of leaky brain (new to this gluten thing) so now I have even more stuff to worry about ha ha! Have you looked into a sensitivity to free glutamates? A lot of people suffer headaches from it, and experience relief when cutting out gluten and dairy, because they are lightening their protein load. Also, most doctors know very little when it comes to food issues, I’ve found. Good luck! Thanks for the info, I’ll check it out! I have multiple food allergies, the IgE kind, to gluten, wheat, barley, rye, eggs, and a number of other foods. I have diagnosed Eosinophilic Esophagitis via biopsy and I’ve been scoped and blood tested (IgA and IgG) for Celiac disease which came up negative. I suspect I have leaky gut (based on symptoms of depression, lack of energy, etc.) which co-exists with my food allergies. The trouble is I cannot find any material linking IgE mediated allergies to leaky gut. The material I find always discusses IgA and IgG mediated reactions and leaky gut. Can IgE mediated food allergies also cause leaky gut? I’ve been trying to clean up my diet for over a year now. It’s a yo-yo. The harder I try, the harder I fall. Binging on carbs and sugary foods when i fall has me extremely frustrated. I know there will be immediate allergic reactions and long-term after effects but the cravings are simply overpowering. And its been getting worse lately. The whole Paleo diet is a bit overwhelming. It’s tough to completely change my processed diet. I’m trying to change my diet slowly, eating more veggies, healthy protiens, healthy fats, and fewer sweets and diet soda. Eventually I hope to have a large enough list of allergy free, healthy food options so I don’t feel too restricted and end up falling back to the same old garbage. I’m focusing on leafy greens, and other veggies I like. I’m also working my way toward healthy, protien packed meats like fish, turkey, and chicken along with allergy-free carbs like white rice. Of course, I’m also trying to avoid sugar and the foods I’m allergic to. I plan to include pro-biotic and glutamine supplements too, but want to keep it simple. Are there any other ‘keep-it-simple’, big-ticket items you’d recommend? I am a celiac, gluten-free for a year and a half. I also have RA and other conditions that have been related to CD. Recently, after 3 rounds of severe abdominal pain (which I never had prior to the CD diagnosis), I have now been diagnosed with an “aggravated” gall bladder with gall stones and my doctor wants to remove my gall bladder. Could this have been caused by celiac disease? Can a Paleo diet help reverse this? If not, can a Paleo diet help one adjust to the side effects of not having a gall bladder? I am following the AIP diet. If I did the Array 4 and find that I am not reacting to rice (or any other grain), does that make it a safe food or while following AIP do all grains need to be removed regardless of a sensitivity? Is there a protocol that you can recommend to reintroduce certain foods that array #4 tests for? Ive been AIP for 35 days, and I don’t want to take the test now if I won’t get accurate results. Thanks! This article changed my life. I read it a while ago before I knew for sure that I was celiac and cut out almost all of the cross reactive foods mentioned. Now, since I got dermatitis herpetafomis (gluten rash) for the first time I KNOW I am celiac and I am being even more careful than ever. Baby steps! I hope to get Cyrex Labs testing done for Array 4 if I can figure out a doctor who has an account (I am in NY and looking to go to VT since Cyrex is not allowed to test here). Thank you so much for all that you do sharing this valuable info with everyone!! Hello! I understand the milk issue in chocolate, but what about dark chocolate & cocao powder? Should these be avoided? Thanks for your time! 24 items on array, why do we have to avoid oats, yeast, millet and corn? Are these just considered more problematic for some reason, or should we just see how each of our bodies responds to each allergy? Should we avoid kombucha because of the yeast, and should all yeast be avoided? Lastly, my hair is thinning and falling out despite so many positive lifestyle changes over the year. So many things are moving in the right direction but the hair is a problem? Any thoughts? Well, there are lots of ways that grains can be a problem that won’t show up on tests, but there’s still individual variation in responses. However, I think that if your hair is falling out (could be hypothyroid or alopecia, both things you should talk to a doctor about), that’s probably a sign that your gut has not yet healed. I, too, have had the Array 4 done and am now, in addition to wheat, avoiding milk protein, and soy (all positive). I feel SO much better in every way, but am also experiencing increased hair shedding and am extremely frustrated. I was taking an iron supplement after my last doctor told me I had low iron, then stopped iron as my new doctor (who did the Array 4) told me my iron was high (Ferritin 40; Serum Iron 187 which was the high one). So I stopped taking iron supplements and started the Gut Repair Diet, at which time my hair loss and shedding increased dramatically, so it’s hard to know if it was the diet, or stopping taking iron which has contributed. I will start iron again after seeing this post, thank you!. It looks like an optimum range is 60 for ferritin anyhow, so I had a little ways to go even before I stopped taking it. Dawn, the thyroid pharmacist has a good post on thinning hair that may apply to you. Thank you for this information. I took array 4 last December and also discovered I had a strong reaction to eggs. Also some reaction to oats, soy and coffee which i didnt use anyway. It has been easy to eliminate eggs. I had the question about yolks and whites and saw it answered above. However, were these tests done on pastured eggs? grain free chickens that is? is the only way to test for sensitivity to duck or goose egss (to which I have access) , at this time, by eating and awaiting symptoms? For the strong reaction to eggs shown on cyrex, I felt almost nothing in my body. I have determined now that it was causing a ‘hot brain’ feeling that came periodically but not directly correlating to the timing of eating the eggs. Being on WAPF and having done GAPS, I had been eating 2+ eggs daily for about 3 years. I am horrified to imagine what I had been doing to my blood brain barrier. Looking forward to getting and using your book very soon. I don’t think that this makes sense. Pastured eggs, conventional eggs, duck eggs all have the same kind of protein. Isn’t the test looking for sensitivity to the protein? Thanks so much for the helpful blog and The Paleo Approach. I’m 2/3 through the book and want to share it with so many folks. We have autoimmune illness in our family and are so grateful to hear the helpful truth-do miss the nightshades tho! We’ve been gluten free for a few years and Paleo for five months, except for occasional goat milk yogurt and cow’s milk butter. 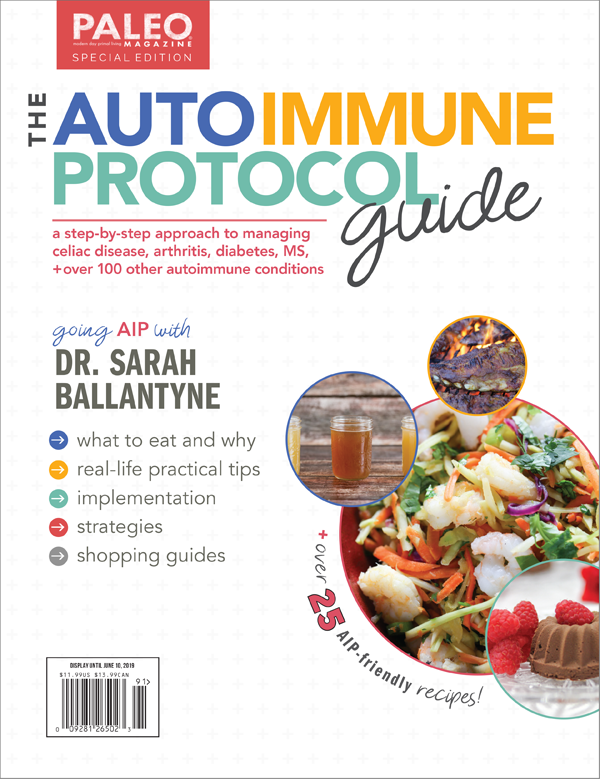 The info in your book has convinced us to go AIP in a few weeks–wish your recipe book was already published! I love the wonderful lists you have for all the varieties of food and have enjoyed trying new vegetables. I’m especially grateful to know that fish is safe to eat. I have a strange question and I thought if there’s been any research on it, you would probably know about it. We have a small goat herd, part dairy (wondering if we will even be able to use the milk!) and part meat. I’ve read about a forage called sun hemp that is supposed to have a good fatty acid profile and be very healthy for goats. It is supposed to be easy to grow and seemed like a good alternative to the grains we feed in winter and year round for our milking doe. When we stopped grains, we started questioning grains for our livestock too. Seeing hemp on the list makes me wonder if that would translate into the meat/milk and possibly cause a cross reaction. Also, do you think hemp clothing, rope or paper would present a problem? Also, I read an article on Mercola.com once about problematic antigens being present in Holstein milk but not Jersey and Gurnsey. I’m wondering if our goat milk might be an option for us because of that or if the mechanics of dairy effects on the intestine should be enough for us to cross it off our list post AIP. Seems a shame to go to the trouble and expense of milking if we can’t have any of it–but we have a great doe and I don’t want to part with her if we can still incorporate some dairy into our diet. Interesting question! There’s no evidence to show that proteins ingested by a ruminid make it unmodified into milk or meat, so you should be good there. The casein in goat is A2, so many people tolerate that when they’re sensitive to A1. But, there’s no good way to know without trying it and seeing how you do. As for the paper etc., the concern would be if any can get ingested or otherwise internalized. Some celiacs are sensitive to gluten in beauty products like shampoos and this is probably due to a small amount getting aerosolized in a hot shower. And certainly some people do have violent skin reactions to allergens. That being said, I don’t see a compelling reason to stop using hemp products unless you have a diagnosed allergy or known sensitivity to them. Great post, thanks. I’m a tad confused since my Array 4 results. I was on GAPS and now AIP for a short time. I see some similar questions here but the answers don’t seem to apply to me since I don’t have noticeable reactions to food. I know my body is reacting to gluten (thanks to Array 3) but my problem with gluten is brain related and my reactions and symptoms (memory related so far) are not quickly apparent. I’m pretty sure I have some degree of leaky gut although I have no discernible digestive trouble with any food. If Array 4 says I am not cross reacting to anything, and I won’t overtly manifest a reaction, is it OK to believe that my body is processing them normally and therefore I don’t need to avoid them on AIP? Hope this makes sense. Let me put it another way – since I won’t have any discernible reaction to any food I eat (so omitting and reintroducing doesn’t help me) and I know my body does not see foods on Array 4 as gluten, can I consume them without harm? How about if you don’t notice reactions to cross reactive foods? My constipation has resolved after many years after eating a Paleo diet with plenty of sweet potato and butternut squash, and homemade kefir with raw potato starch, green powder and psylium. When eating eggs, chocolate, Half & Half, for instance, I don’t notice any changes. My eczema seems to come out when washing dishes in very hot water over time. Any thoughts? I take that back. I get bloating and some discomfort from the Half & Half. Are there any options for a dairy-like substance to put in coffee? I can’t seem to eliminate the Half & Half. I keep saying I’ll do it, but fail every morning. Canned coconut milk mixed with a pinch of sea salt and vanilla makes the BEST creamer for coffee and tea. The saturated fat in coconut milk mimics half and half better than almond or soy milk (which aren’t Paleo approved anyhow). Oh, that’s very interesting. Do you keep the mixture in a jar in the refrigerator to use when needed, or add these ingredients to each cup? I’m not familiar with coconut milk at all. Thank you! You can do either! Sometimes I keep an opened jar of coconut milk in the fridge (make sure to shake it first), and yes, add the sea salt and alcohol free vanilla extract to each cup. OR you can mix it up beforehand and store in a jar in the refrigerator. Whatever your preference. I think this system works better and is creamier and richer than the coconut milk you can buy in a carton, which is very watered down. See what PaleoMom says, but I like to make coconut kefir (from a can of coconut milk or light coconut milk with added kefir grains and let sit room temp for 3-4 days). However, some people are allergic to the yeasts in kefir culture. If you are not sensitive to yeast or dairy (dairy and yeast are part of the Array 4 gluten cross reactivity test, I myself am only positive to dairy) then you can make kefir from cow or goat’s milk. What is your feeling about kefir – is homemade kefir considered cross-reactive? I have the same issue and found a dash of honey and vanilla make for a very good cup of morning coffee. Well, I tried the coconut milk. I just can’t enjoy it enough to forgoe the H&H. I have a feeling I AM reacting to it – and possibly my kefir too. I think the reaction – slight stomach cramping – isn’t strong enough for me to do what I have to do. Yet. Make a “coconut cream half and half” by combining fresh or canned coconut milk (full fat), or light coconut milk with a tablespoon of coconut oil, a dash of sea salt, alcohol free vanilla extract (or vanilla bean), into a blender, then refrigerate and use for up to one week. You can also add the ingredients without blending straight into your coffee (except the whole vanilla bean, obviously!) The reason to avoid dairy on the auto-immune Paleo protocol is not just for the tummy discomfort, it could be making your whole immune system go hay wire, and triggering auto-immune illness, so it is very worth it to find an alternative! My mother is a Celiac (diagnosed 40+ years ago). Over the years she’s found that she reacts to dairy, soy, corn, potato, etc. She has good days and bad days even now that she’s Paleo. After reading his article, we were talking and I found out she takes a lot of prescription meds. All are gluten free, but they all have something else in them.. cornstarch, dairy, etc. What is one suppose to do about their prescription meds? Most doctors won’t have a clue. Talk to the pharmacist and read the active and inactive ingredients. A lot of drugs use lactose as an inactive ingredient. Beware of anything made by Bayer as they will not guarantee their products to be gluten free. You can also call the company. I was unable to see the cost for the test. Does anyone know the cost for array 4? I actually had the Array 4 done for $225 I think, maybe $250, but no more than that. I was just wondering if anyone knows if and where Array 4 or similar testing can be done in Australia? I remember Dr. Tom O’Bryan saying that the ALCAT testing was what you could do outside the U.S. I do not know how it compares to Array 4 specifically though. Seems to me that is unique still. Not sure. I have been having problems lately and I have been wondering what that problem may be but I have recently added fermented foods to my diet to heal my gut. That would make sense but how do I get my probiotics? Can I take probiotic supplements? If so what brand do you suggest? Thank you! Thanks for the interesting article. I have been diagnosed as celiac for 14yrs. For the last year I have been feeling like I have been getting glutened, although milder symptoms than usual. When my gastroenterologist performed a scope he congratulated me on how healthy my gut was and how well I must control my diet. Would cross reactivity result in damage to the villi in the same way gluten would, therefore ruling out cross reactivity for me? Also, if your immune system recognises these other proteins to be the same as gluten, why is there a need for the array 4 test? Wouldn’t the antibodies in your blood just be the same as if you had been exposed to gluten? Also do you know if the Array 4 test is available outside the US? I’m in Australia. The antibodies aren’t the same in everyone. So the antibody you make against gluten could be different than the one I make against gluten and that changes what they might or might not cross react with. The array 4 test is helpful if you’re having trouble figuring it out with an elimination diet. I believe it is availably outside the US, but I don’t know any more about how to get it than that. Yes, is can damage the villi, but only very extensive damage is observable by scope. I understood from a talk given by Dr. Tom O’Bryan last October (Gluten Summit) that the Cyrex testing is only available in the US. (that could have changed since then). Also, he recommended the ALCAT test for those outside the US. You can also get cyrax tests in the UK through regenerus labs. – Would this Cyrex test reveal a yeast cross-reactivity? I already had ALCAT test but don’t remember seeing anything like that, other than moderate reaction to Candida. – Does this mean fermented cod liver oil and raw apple cider vinegar could be a potential triggers for yeast, and an alternative cod liver oil supplement should be used? – Is it possible to heal enough on AIP to eventually reintroduce these delicious foods? Um, it’s the other way around. Fermented foods and kombucha can help control candida infections because the strain that’s in fermented foods (s. boulardi) suppress candida growth. But, fermented foods that contain yeast can be a problem if you have a yeast sensitivity (different than having a yeas infection). This test would tell you whether antibodies you are making react with s. cerevisiae, the strain of yeast used in Baker’s and Brewer’s yeast as well as nutritional yeast. I do not know if any yeast strains are present in FCLO. But, yes, vinegars can be triggers if you’re allergic/sensitive to yeast. Yes, it is possible to heal enough with AIP for food sensitivities to diminish and disappear. This thread is so interesting! Thanks for the helpful information!! Do you know specifically which ferments might contain s. cerevisiae (i.e. sauerkraut, fermented garlic cloves, etc.)? Our son with allergies seems to do fine with probiotics (GutPro and Prescript Assist), but we’re suspecting that our homemade sauerkraut (made in Pickl-It Jars) might cause a reaction in him – we think we’ve linked hiccups – perhaps a food intolerance to wild strains of yeast – in our sauerkraut and fermented garlic juice. We are hopeful we can increase doses with him – even 5 drops of sauerkraut juice cause a reaction! Any insight? Thank you!! In comments you mentioned about eggs and their feed? I assume this would be the case with cows’ feed, soy and corn? I am allergic to soy, but can’t afford grass fed meats. Thanks for very informative write up. Its more useful as you have experienced it. I am 42 and had developed sudden severe urticaria 2 years back, which bought me here on your page. for last one year i am on hypothyroid med and have to take a levocetrizine almost daily. My IgG, E and other values are fine. Now I stopped taking hypothyroid med for last one week and no wheat or dairy, but i am taking legumes, fruits, almonds and rice. I am feeling better in energy levels and rest of things except my urticaria. Its certainly better but still i am on antiallergics daily. My hair have become thin and rough. I am thinking to start Paleo diet now. But its very difficult sometimes to control cravings. Do you have any suggestions? This information has been great! I have Celiac Disease and in fact react to many of the items in your list, including milk. Now my question is, am I safe to eat cheese? It doesn’t (so far) seem to trigger a reaction but I wonder… and also what about yogurt and sour cream? Okay, thanks for the response. It doesn’t seem to be a problem now but since milk is, cheese bears close watching at the very least. I suppose it will be the next thing to go. It is interesting all of these connections. For me, I have gluten sensitivity (non-Celiac) with 2 genes purportedly responsible for my sensitivity (according to Enterolab). When I went gluten free 5 years ago, I was NOT eating chocolate. I was on a very clean diet (so I thought). I have earned a Phd in Holistic Nutrition in my quest for health. Anyway, going 100% gluten free did help me immensely. My trips to the bathroom went from 10 times a day to 3 after about 6 weeks. In essence that gave me a good part of my life back. But I still had loose BM’s (sorry about TMI). When I added CHOCOLATE back into my diet, my BM’s became normal for the first time in my life. To test it, I would stop eating it periodically and loose always returned. Eating it always set me right. I only eat cooca powder with a little stevia. I am SUGAR & DAIRY FREE. So I decided that it was something good for my body, but I didn’t know why. Then I happened upon some research that showed that CHOCOLATE increases the friendly bacteria in your gut. And recently, new research shows that your gut bacteria actually turn cooca powder into anti-inflammatory compounds. http://www.npr.org/blogs/thesalt/2014/03/18/290922850/chocolate-turns-into-heart-helpers-by-gut-bacteria http://www.bbc.com/news/health-26626507 Because this newer research is dominating Google at the moment, I cannot find the earlier research on it increasing good bacteria. Will look later. So it lends credence to the old adage that one man’s meat is another man’s poison. I am currently on the AIP with the exception of cocoa powder (2 tlb per day in divided doses and 2 servings of stevia). If I have to give those up at some point I will, but at this moment, I feel they do my intestines and body good. Hi Sharon, my experience is similar to yours – chocolate/cocoa really help me with bowel movements, and when I stop eating it I become more constipated and have pale stools. I was thinking perhaps it’s the theobromine in the cocoa acting in a similar manner to caffeine to stimulate bowel evacuation. The only downside for me is that too much cocoa can be too stimulating and cause me anxiety, but then I am anxiety prone naturally anyway. I’m a little confused. I just had the Cyrex Array 4 done, and I tested out of range on almost everything except rice. So does this mean I can eat rice now (still being in the elimination phase), or should I wait until later? And the foods I am out of range on and producing antibodies to, should I never eat them again, or can I try reintroducing them sometime in the future? Thanks for your help! Wow. This explains so much. I truly believe AIP is what I need now, thanks for this. I’d like to propose an additional theory to this cross-reactivity that might more fully explain what is going on, and if true, would also explain gluten’s involvement in a number of serious illnesses that it is only just now being linked to anecdotally or incidentally through other research. Specifically, that gluten may act as a catalyst for the misfolding of proteins into amyloids during the digestion/metabolic process. The auto-immune reaction described here may not be against proteins in their natural state, but against their misfolded state when mixed with gluten. In other words, it may not be cross-reactivity of the immune system to other proteins, but to the amyloids created by gluten. Even if gluten-free, the existing amyloids which have not yet been removed by autophagy a might be catalyzing more amyloids from the same proteins. So, even after going gluten-free, other effects will linger until the body has a chance to remove the amyloids. In extreme auto-immune cases, like Type-1 Diabetes, the damage may be too great to heal, or the body may not be able to remove the amyloids. If such a process is proven, it would explain the cross-reactivity described in this article, and why it may take weeks to months to end, even after going gluten-free. It would explain why many people who go gluten-free show an improvement in other allergies and food intolerances. It would explain Peter Gibson’s research showing that gluten itself wasn’t causing IBS in some NCGS patients during a study, but FODMAPS were, though not to the extent during his previous study. (I’m so tired of reading articles about his short, limited research). More importantly, it would explain why removing gluten shows improvement in so many amyloid related illness: both Type 1 & 2 Diabetes, Alzheimers’, Celiacs, Parkinson’s, etc. While this research makes no connection to gluten, it wasn’t being looked for. The peptides PPI15-23 seem to be the specific agent sparking the auto-immune reaction, but the genesis of PPI15-23 is not described, and may be unknown. I hypothesize it’s a gliaden caused misfolded protein, perhaps similar to the 33-mer peptide described in some of the other research linked above. I hope this gives you new ideas to look for in your quest for understanding. I’ll be the first to admit it’s thin, but new research I find keeps pointing in this direction. Hopefully the new 2D IR Spectroscopy process that is capable of showing amyloid formation will answer some of these questions, if there are any scientists interested in looking. But I love cheese too much to do full Paleo. Thank you for this terrific post. You were one of the first sites (people) that helped me when my Cyrex lab results came back positive for gluten sensitivity a few years ago. I also share many of the symptoms that you do, and it was great affirmation for me as I read about your experiences. Science is catching up to gluten! Best to you. Hi all! I just got my results back and came back with an egg white allergy, and then high reactivity to wheat and gluten. I came back non-reactive to corn and potatoes (sweet and white). My question is…if I’m following the Paleo diet but have no reaction to corn on paper, and the corn product comes from a certified gluten free facility, would it technically be safe to eat? Thanks!! I have been following the Paleo Mom for over a year now and love all the advice! I have also been on a gluten and grain free Paleo diet for over a year. lately, i just can’t seem to control digestion issues. My GI doctor wants to test a number of things but has told me to start eating gluten in order to see if i have celiac disease or sensibility. I am of course petrified at the idea of consciously eating gluten. in this situation, what would you recommend? Thank you so much for all that you share with us ! I am 35, have had Hashi’s since I’m 17 (after mono), suspected to have leaky gut, went gluten free and on Paleo for almost a year, and have been referred to the Array-4 test which is how I fell on this page (doing research- so glad I found you!) because I still feel fatigue and much brain fog even after working with my ND to fix digestive issues and yeast in the gut. I will certainly look into the AIP now. I have very low ferritin as it is and some hair loss so I hope that won’t get worse. But my question is for my 4 year old daughter: how do I avoid her developing leaky gut in the first place? From all the posts I read on this site, it sounds like this condition can be healed and some foods even re-introduced, but how did it happen in the first place? Do we need to reduce gluten x reactive foods for our kids to minimize their odds of having leaky gut? My daughter is such a picky eater and I try to make her eat GF as much as possible but I don’t want to restrict her diet if there is no reason to. I feel helpless sometimes and wonder if I am putting her at risk later (not to mention my stress) by not exposing her to certain foods. How can I tell if she is at risk for leaky gut? She is terrified of blood tests and I wonder if it would be accurate to have the Array-4 done at such a young age? I’m confused in particular as to whether tapioca is a cross reactive substance? I’m also wondering about rice, and what element of that can hinder an autoimmune sufferer (aside from any high blood sugar it may cause)? Tapioca is not cross-reactive. Rice can be cross-reactive, but you’d have to get Array 4 to know for sure if you react to it that way. I had Array 4 done and I cross-reacted to casein, whey, and potato, as well as to soy (not a cross-reaction, though). The other cross-reactors tested clear for me but, since I hadn’t eaten millet or sorghum in a long time, there’s a chance for false negatives regarding those. I”m working on recovery from and diet for celiac and leaky gut. Some testing has been inconclusive and I am wondering about dairy: milk yes, but what about cheese? Harmful or not? I’m confused since you mention that tapioca was not found to be cross reactive but you removed it. Are you suggesting the entire list above could still have gluten cross reactivity even if not proven by Cyrex testing? I appreciate your scientific integrity of not saying it if you can’t cite it. There is a lot of nutritional claims on the internet that may or may not be backed by science. If I really want to, I can read your cites myself and evaluate what you are trying to explain in a more accessible way. I also appreciate that you don’t cling to an opinion when new research demonstrates a need to clarify or update your blog. Protein sequences and antibodies make sense. Mythical cavemen do not. Thanks for the info….. But it’s just one of thousands that tell us what NOT to eat and doesn’t give any hope!! Sure be nice if for once a blogger would actually give helpful advice and give some suggestions as opposed to just leaving people feel stupid and hopeless! Nice! Not affiliate, just a fan. 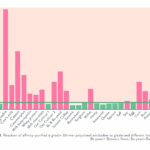 I did the cyrex crossreactivity this year and it showed positive for 4 items: amaranth, millet, buckwheat, and tapioca. Interestingly enough, coffee did not come up positive, but I don’t tolerate it well. I have history of high evening cortisol/insomnia. I get itchy skin and joint pain in hands and feet from exposure to gluten. Great article! Wondering if I may ever be able to reintroduce these items into diet. Thank you for taking the time to compose such a well researched article! Hopefully you didn’t address my question in the post, and I just missed it! When you say “yeast” does that include beneficial yeasts, such as s. boulardii? I am assuming it must if that is the reason you eliminated kombucha and fermented foods from your diet. Thanks in advance! It has been a while since you updated this post. In the months since you began your healing, have you been able reintroduce any of the other cross reactive items on the list? Do you think I shall ever be able to have dairy again? I have ulcerative colitis. Raghav, the issue with cross-reactive foods is that the immune system thinks they’re gluten, so those reactions are permanent, as opposed to other food sensitivities that are due to leaky gut and could be reverse over time. If you’ve had Array 4 and you know that you cross-react to dairy, it’s out for good. Interesting. I recently found out I was cross-reactive to egg, potato and rice, but my doctor mentioned that although I should never eat gluten, I may get the cross-reactive foods “back.” This sounds inconsistent with what you’ve learned. Any suggestions on where to get more information on this? Thank you! So grateful for your blog and thoughtful, well-researched posts! Has been SO helpful and educational since my diagnoses a couple of weeks ago. Thank you so much for this update! It has answered a lot of ‘why am I still getting sick?’ questions when I was being so careful being gluten/dairy free and then Paleo. There has been a huge improvement with my health since I started AIP, and this gives me a bit more insight into why (we suspect corn, potato and/or rice cross reactivity may be the cause). I’m in Australia and I’m hoping my Dr will be able to order the Array 4 test for me here. Thanks again for all your research!! Thanks for the informative article. Based on your sensitivities and symptoms, have you looked into histamine intolerance? Chocolate, fermented foods and some of the others that you listed are major offenders for those that are histamine intolerant. And the symptoms you list also line up with that. It might end up being that if you supplement for treating histamine intolerance you will no longer be sensitive to some of the foods you listed…? Does anyone know if the reverse is true? People who KNOW they are dairy sensitive–is it more likely they are also gluten sensitive? Been wondering about this for a while. I am extremely confused, I thought eating white potatoes was SAFE so long as you peel them??? Also, it really annoys me when they say potatoes are not safe.. you should specify which types of potatoes, as sweet potatoes and yams are indeed safe. The culprit would be all other types of potatoes such as the white potato…. but I thought white potatoes cannot possibly cause cross reaction problems if they are peeled? I’m sure Paleo Mom has some articles on this on her site, but just last night I read in The Paleo Diet Cookbook by Loren Cordain it’s the saponins and lectins in the white potato that cause leaky gut and lead to autoimmune diseases. You may want to search for that on Paleo Mom’s site or look into Cordain’s books for more info. So, tapioca should be left out during the elimination phase of AIP, is this correct? When should it be reintroduced? Yeast is included in the list…does this include nutritional yeast? I am just a little confused as I read somewhere on your site that it was ok. I admit though to trying to process a lot lately as I am new to this. I have been all over your site. Thank you for all of your info and help. Hope someone is still looking at this post. I am wondering, if we are actually having an immune mediated cross reaction to a “gluten like” protein, as in the body thinks that the food is actually gluten, would we not have very high anti-gliadin antibodies in circulation when eating those foods? thank you for this blog. I feel like this is finally making sense to me. I had the cyrex panel and have cross sensitivities to rice, potatoes, tapioca, teff, and eggs. It has been challenging to find foods to eat and to bake. I am learning as I go. I am confused. How is this testing cross-reactivity? They take your serum and look for reactivity to these given antigens. They never show that the same antibody recognizes an antigen on wheat AND a second food. So how do you know this is related to wheat intolerance? Is popcorn considered a cross reactive food? Isn’t it a bit odd that the 4 gluten grains at the top of the list (rye, barley, spelt, polish wheat) don’t show cross reactivity with gluten…when they actually contain gluten? I find that very confusing, and it makes me doubt the validity of this kind of testing. I have been diagnosed with Hashimoto’s and have been using the AIP to stabilize and heal my body. I just did the Cyrex Array 10c and it showed a negative reaction to gluten & wheat! If that is the case, wouldn’t it stand to reason that I am not cross-reacting to anything? Array 4 showed equivocal cross-reaction to Milk Butyrophilin, Eggs, Tapioca & Soy. I have also been diagnosed with parasites, which may have contributed to leaky guy and hence the autoimmunity. Any thoughts? Thank you! Great info. Unfortunately I’m running out of food to eat. I have Hashimioto’s Disease & PCOS. I can’t eat soy, gluten, or dairy. Nutritional yeast and rice were my great replacements. Now they could cause a cross reaction. It’s hard to stay off the cheese and I do slip now and again w/ dairy yogurt. If you can’t eat any of those things, what is left to use to eat in their place, especially rice, pasta or vegan cheese (all seem to be made w/ nutritional yeast)? Thanks for any advice anyone can give. Thanks for the article. Although I agree that there may be some evidence here… I am fairly skeptical due to the fact that this seems like bad science. We haven’t yet seen a peer reviewed article and the statistical significance of a lot of these results isn’t significant as of yet. I think more research needs to be done in this area. This article (http://Paleomovement.com/19-gluten-cross-reactive-foods/) helped me better understand the Cyrex lab testing and although I still plan to do an elimination diet to sort out my health issues, I think it’s important for everyone posting here to understand that I get the feeling of hopelessness and the thought of eliminating yet another food (because if it helps it’s worth it) but I think we need scientific proof before embarking on more elimination. Thank you for posting this important information. I have a question about the cross-reactivity of soy and potato that you mention in the article. When I read Dr. Vodjani’s full published study it mentions that only dairy, yeast, corn, rice, millet, oats and instant coffee showed a significant reaction. Can you please show me where in the study soy and potato was also shown to be cross-reactive? What are the two different cultivators of oats and which is the better to eat? What are the two cultivars of oats and which one is non-reactive? Please let us know and I will make it my business to at least contact Bob’s Red Mill Natural Foods to see if this what they are selling in their Gluten-free Old Fashioned Rolled Oats. I think I may be having a reaction to Bob’s GF Old-Fashiioned rolled Oats too. I went completely gluten-free/ grain free except for the oats. I recently have been noticing bad swelling in my feet and overall edema, and I think this may be the cause. (Although, it could be other cross reactors on the list.) Did you find out any information from Bob’s? Same here! Please answer this!!! I want to know what type of oats are good. These are one of my favorite foods I miss having on rare occasion. Very good article. I absolutely love this website. Stihk with it! I have ankylosing spondylitis and know for a fact that I’m gluten sensitive and have therefore been gluten-free for the last 2 years however, there are still other things in my diet that are triggering inflammation so I decided to order the Cyrex Array 4 test. Much to my surprise, all potential cross reactive foods came back as being within the normal range except for aramanth (which I never eat), so would this therefore suggest that the mechanisms this test looks for have nothing to do with my inflammation? I’m almost sure that wheat, dairy and grains cause flare-ups for myself. I just recieved my Array 3,4and 10 results back from Cyrex. Upon review (I do have thyroid antibodies present and my thyroid is sluggish but I haven’t been diagnosed with Hashimotos or Hypothyroid officially) I don’t appear to have any sensitivity to gluten but do have sensitivities to almost all of the cross reactive foods. How is that possible? 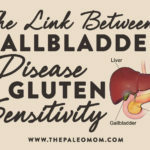 I have been gluten free for several years but not religiously (until finding out about my thyroid antibodies just last October in 2015)…is it possible I healed an old gluten sensitivity but still have reactions from those on the cross reactive panel? In addition to that, I tested positive for 80 foods total so I’m kind of a mess. Thanks for your insight! I’m wondering the same thing… Can you be nonreactive to gluten yet test positive to these cross reactivity foods? What does this result mean? Do I need to worry about cross reactive foods if I am not gluten sensitive? 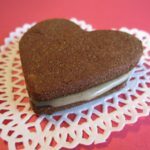 I have a question – I am not sensitive to gluten, however I don’t consume it and haven’t done for years. I am autoimmune. I am on your auto immune diet protocol. Can I eat nutritional yeast? I put it on salads a lot! 2nd question – I have had the ELISA ACT test and have a moderate reaction to aspergillus niger. I take enzymes with every meal to aid in my digestion as I am trying to heal leaky gut and I just discovered that everything in my enzyme is derived from aspergillus niger! Am I causing a low level burden on my immune system and repair system every time I take enzymes?? So interesting to read all this information and the questions but a bit disappointing that hardly any answers are given to them. Was unaware about cross reactivity before I read this. I am at the beginning stage of Hashimoto and am determined stop further deterioration of my thyroid. Brain fog and vagueness is challenging to live with. Have been a fan of home made milk kefir and consumed quite a bit of it. A lot to rethink and need to change habits. Thanks for sending the link for the Cyrex testing. It is great to see more and more posts about living healthy and going Paleo it is common sense. Hi! 10 months ago I was tested positve for gliadin and transglutaminase antibodies. I haven’t had a biopsy back then and started to eat gluten free right away. The weird thing is that even though I eat 100% gf my antibody values are still up (actually they are worse than when I was still eating gluten). Last month I went for a gastroscopy and it showed no signs of CD. So I wonder: I do eat casein daily since it is the only fat source which doesn’t irritate the gut. Is it possible that casein keeps my antibody count up? And is it even possible that when casein keeps those antibodies up that I might develop CD at some point just by eating casein? Thank you for the post..I am gluten free from past few months. but do consume rice or rice based flours often have decreased though.. Is the rice considered white rice? and what fermented rice products like Dosa ? Thanks for this great resource, I am just wondering why certain foods that are on the list as being tested but are not listed on the chart as either positive or negative, i.e. Quinoa and Soy? So I don’t have to trawl through the list of comments looking to see if anyone else has asked this question, can anyone answer this for me please? This post contains outdated info now. Cyrex have now, more helpfully, split out the foods on Cyrex 4 into contaminated or gluten foods (eg coffee), actual cross-reactive foods (most of the grains and dairy), over-consumed and newly-introduced foods (potato, pesudo-grains etc) and commonly antigenic foods (such as egg). They clarified this not long after the test came out a few years ago, but many people had already shared the info (me included!) and these older posts are still confusing people. So, potato, for example, is not a cross-reactive food, which someone asked me about today and pointed me (again) to this post. This post needs to be updated if poss! You can check the Cyrex 4 out here fully: https://www.cyrexlabs.com/CyrexTestsArrays. Thank you to Micki for pointing this very important issue out. It really does need to be made clear after all the confusion and miss interpretation of the Cyrex tests .which Cyrex have now rectified if you look at the link above and the Cyrex 4 you will see this. I did the complete AIP for 1 1/2 yrs. I have Hashimoto’s , Wilson’s temp syndrome and adrenal fatigue and leaky gut and am 57 yrs old. After that I added 2 eggs daily. I also don’t eat onions garlic grapes and an assortment of other vegetables that give me gas and don’t know if they have any connection. I take an assortment of supplements for the above issues . I still have fatigue in the PM and am too fatigued to exercise. Is there benefit to continuing the diet. Why is it taking so long? Is this normal. I tried only T3, now am on desiccated thyroid.I use hemp protein and fish gelatin after 18 months because my protein level was so low. Initially I lost weight but now just gain it. I suspect because I am digesting food better . I don’t need Betaine HCL any more to digest protein. Any comments or suggestions? I did the complete AIP for 1 1/2 yrs and excluded anything not GAPS legal. I have Hashimoto’s , Wilson’s temp syndrome and adrenal fatigue and leaky gut and am 57 yrs old. After that I added 2 eggs daily. I also don’t eat onions garlic grapes and an assortment of other vegetables that give me gas and don’t know if they have any connection. I take an assortment of supplements for the above issues . I still have fatigue in the PM and am too fatigued to exercise. Is there benefit to continuing the diet. Why is it taking so long? Is this normal. I tried only T3, now am on desiccated thyroid.I use hemp protein and fish gelatin after 18 months because my protein level was so low. Initially I lost weight but now just gain it. I suspect because I am digesting food better . I don’t need Betaine HCL any more to digest protein. Any comments or suggestions? If I’ve been gluten-free (grain free, as well) for the past few months, should I expect to see a decline in the sensitive antibodies? Or, for example, if I’m drinking coffee during this period and am affected by the coffee, will I see a decline if I exclude all reactants such that I can later add back coffee to no ill effect? Another way to phrase my question is: in the absence of any cross-reactors, should I expect a decline in these antibodies? Another question to this effect would be: if these antibodies react with these cross-reactants, does ingestion of these cross-reactants upregulate the count of these particular antibodies? What I’m getting at is for a person with particular cross-reactants (using this particular scientific lens), is it expected that they would be able to add those cross-reactants back in, or are they essentially ‘doomed’ to not reintegrate those foods into their diet? Certainly I’ll sort this out by testing with my own diet eventually, for my body, though I’m curious what the scientific literature suggests. Hi Thank you for this information. Please does anyone know what the results of Soy were in these tests? I cannot see it on the charts or find any info . Also sorghum is listed twice , is this correct? Or should there be a different food listed? Hi Paleo Mom, I have your cook books and admire your work ,follow and appreciate your advise regularly but please please can you sort out the above graph for cross reactivity with gluten free foods, you have Hemp, Sorghum and Millet all listed TWICE!!!!!!! Quinoa is not shown at all. Please can you correct for those of us that follow your advise. I do hope you see this post but I fear you are not following it anymore and I have seen no other posts here since mine! What an interesting article. Last year I had an IGg intolerance test and it came back that I was reactive to eggs, milk, wheat, gluten, millet, yeast, crustaceans and coffee. All my positive results are on this list, except the crustaceans. I was also borderline intolerant to many more items including soya beans, buckwheat, brazils, sesame, carrots, chilli pepper and coriander/cumin/dill. It all makes sense now! No wonder I still feel rough at times…. Why is soy not on the graph? Are hemp hearts okay to eat on the AIP diet? Cocoa powder? I make my own hemp milk and mix it with cocoa powder. I use it with chicory “coffee”. How can we find to purchase Cultivar 1 Oats? I did contact Bob’s Red Mill and they cannot tell, they use various sources in USA and Canada. I”m assuming they are mixed. my 23andme test results are confusing in comparison with this article. Can you help me decipher the numbers? HLA-DQA1 GENE is associated with HLA-DQ2.5 haplotype. HLA-DQB1 GENE is associated with HLA-DQ8 haplotype. It’s the “2” and the “2.5” and when I pick over the details given in this article I get very confused. Which one… gene or haplotype? I have HLA-DQA1 gene associated with HLA-DQ2.5 haplotype. When you mention DQ8, then I think you’re talking about haplotype, because that’s what 23andme says is associated with HLA-DQB1 gene. When you mention HLA-DQ2, I think you’re talking about the HLA-DQ2.5 haplotype, because 23andme doesn’t mention testing for HLA-DQ2. Rather, they test for HLA-DQA1 and say it’s associated with the HLA-DQ2.5 haplotype. I hope I’ve been succinct, and hoping that since my report was based on 2017 test results, and your article here is dated 2013, perhaps you could give us an update. It sure would be greatly appreciated, Dr. Ballantyne!